The second edition of this handbook has been updated with information on biofilms and antimicrobial resistance. The impact of global warming and climate change phenomena on waterborne illnesses are also discussed. 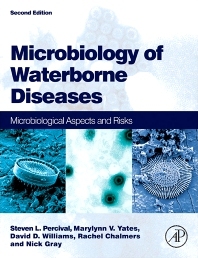 This book serves as an indispensable reference for public health microbiologists, water utility scientists, research water pollution microbiologists environmental health officers, consultants in communicable disease control and microbial water pollution students.